Posted on May 10, 2015 by Mrs P.
Here’s a round up of some interesting crime fiction news and events. Joshua Farrington of The Bookseller reports that >>Bitter Lemon Press has signed a series of deals for female crime writers from around the world, with the books set to lead the publisher’s schedule in the second half of the year. Publisher and co-founder Laurence Colchester has acquired titles from Brazil’s Patrica Melo, Turkey’s Esmahan Aykol and Argentina’s Claudia Piñeiro. Melo’s The Body Snatcher is the story of a drug deal gone wrong, with police corruption and blackmail. Melo’s previous novels Lost World, The Killer, In Praise of Lies and Inferno were published in English by Bloomsbury. The Body Snatchers, which will be published in July, is translated by Clifford E. Landers. Divorce Turkish Style by Esmahan Aykol will be published in September. It is the third in a murder mystery series featuring crime bookshop owner and accidental investigator Kati Hirschel. The previous two books, Hotel Bosphorous and Baksheesh were also published by Bitter Lemon Press, translated by Ruth Whitehouse. Piñeiro’s Betty Boo is set in Buenos Aires, and sees a sensitive woman trying to save her career and personal life while caught up in a criminal conspiracy. Piñeiro’s previous titles, translated by Miranda France, were also published by Bitter Lemon Press. Betty Boo will be published in January 2016. Over in the States, the annual Edgar Awards have taken place. A full list of the nominees and winners is available here. 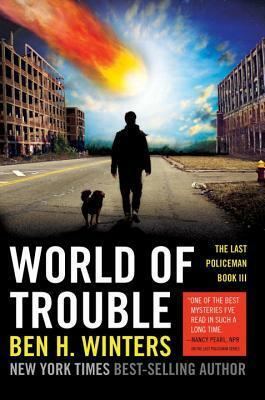 The focus is on English-language crime, and a number of titles have already migrated to my groaning TBR pile, such as Ben Winter’s World of Trouble, which is the final installment in The Last Policeman series (see my discussion of his earlier work here). The winner in the best novel category was Stephen King’s Mr. Mercedes, which I’m currently half way through and enjoying very much (although I will never look at a hamburger in the same way again). Last but not least, the international crime fiction convention CrimeFest takes place in Bristol next week, with a sterling programme you can see in full here. I’m very much looking forward to attending, not least because this year’s special guest is Swedish crime writer Maj Sjöwall, co-author of the seminal Martin Beck series, and she will be helping us to present the 2015 Petrona Award for Best Scandinavian Crime Novel of the Year. 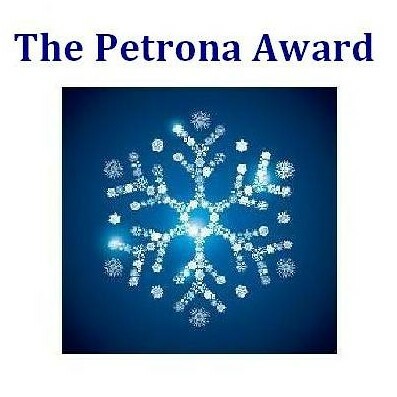 I have been enjoying all the online speculation about the Petrona shortlist. The judges have now made their choice…! But will you agree?! This entry was posted in America, Argentina, Brazil, By country, Germany, Petrona Award, Sweden, Turkey and tagged Edgar Awards, Petrona Award by Mrs P.. Bookmark the permalink. Like the sound of these new Bitter Lemon signings! I’ll look forward to them. And seeing the result of the Petrona Award! Yes, they look good, don’t they? And an all-woman list of signings too 🙂 Hope the Petrona choice meets with your approval! I’d just written about Claudia Pineiro and Patricia Melo in a feature I did about Latin American crime fiction, so I’m really pleased to hear about new translations of their work! Was that piece on your blog, MarinaSofia? Would love to read it and add the link to the post. It was a great article – just when I was thinking, “Where else could I read crime fiction from?” Marina’ll correct me if I’m wrong, but I think it may have been on Crime Fiction Lover? There were some interesting recommendations. I’m so glad to hear about Bitter Lemon signing deals with global women writers. Melo is a bit too violent for my taste, but I love Pineiro’s books and have been waiting for more from her in English. And I read Aykol’s first set in Istanbul and while I wanted to read more about that historic city, I enjoyed it anyway and was awaiting more of her titles. My family visited Istanbul for two weeks very recently and this only whets my appetite for more crime fiction from that city. I love Patricia Melo’s voice. Her signing with Bitter Lemon Press is awesome. I found Divorce Turkish Style at Bitter Lemon’s website, but not Betty Boo. Any suggestion on where to find information about it? I’m so excited about a new Claudia Pineiro book coming out. I am now relishing Baksheesh by Aykol; what a fun book, full of tidbits about life in Istanbul, told from a German feminist’s perspective. Recommend it. Will get book three by this author. Have you found out where to get Betty Boo? I really pleased that you’re enjoying Baksheesh, Kathy. Will try to get hold of it for my holidays shortly. I’ve checked around for Betty Boo, but there’s nothing up on the Bitter Lemon Press site about it as yet. Elsewhere, I’ve seen that it’s due for release on 9 Feb 2016, so my guess is that it will appear on Bitter Lemon closer to the time. Yes, I think you’ll need another book for your challenge (which I like the sound of very much). Ah, interested to hear your ‘so-so’ verdict on The Human Flies. Was it the classic crime format or something else that didn’t quite gel for you?